Posted on January 27, 2019 | Comments Off on Where No Man Has Gone Before Returns March 15 & 16th! 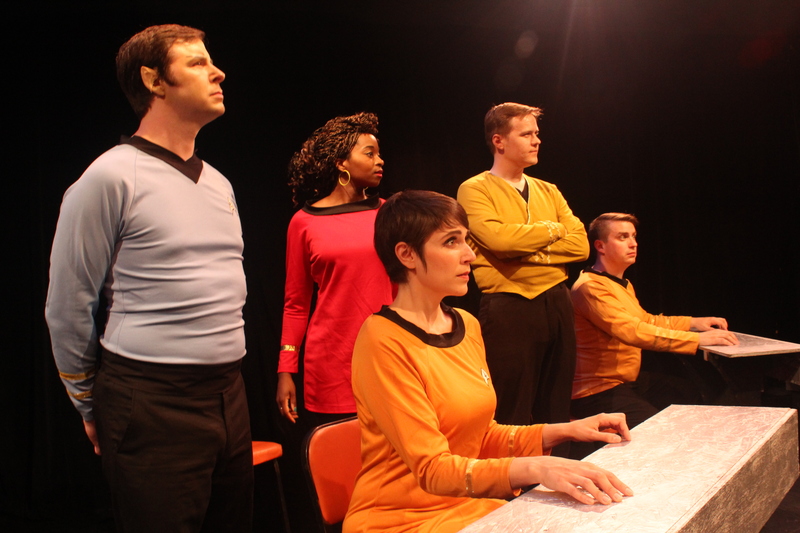 Just in time for Comi-Con, Where No Man Has Gone Before, Seattle Experimental Theater’s hit improvised parody of the original Star Trek TV series, is returning to Unexpected Productions in the Pike Place Market Theatre. Join the crew of the enterprise as they encounter a Starfleet Admiral that has strayed from the Prime Directive. Will they be able to undo the tangled web he has created? Comments Off on Where No Man Has Gone Before Returns March 15 & 16th! Evil is coming. Time to improvise. 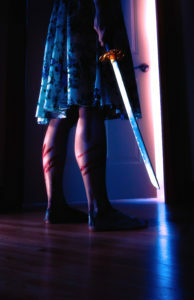 The Dark Fantastic is an improvised horror story, following one womans battle against demons within and without. Will she overcome evil, or be destroyed? Every performance the cast will get suggestions from the audience to create creating a creepy, suspenseful, darkly funny show. The Dark Fantastic is directed by Elizabeth Brammer. Please note: This production uses stage blood and has some simulated violence. Not recommended for audiences under 13. Performances are September 6-15 at 8pm at 18th and Union at 1406 18th Ave, Seattle, WA 98122. Tickets are $16 online or $20 at the door. We have one more week of shows before Where No Man Has Gone Before closes on August 25 and goes on shore leave for the rest of 2018. Tickets are selling out for some performances, so get yours online! Seattle Experimental Theater is pleased to be hosting FEELINGS at 18th and Union September 14th & 15th. 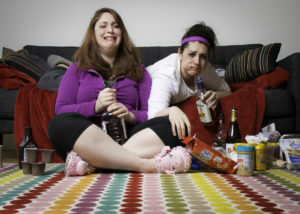 FEELINGS is intersectional, feminist, queer improvised theatre. Kinzie is gay, Natasha is a white-passing Latina, and they want you to join them to eat dessert and dismantle the white-cis-hetero patriarchy. Using audience suggestions, FEELINGS explores identity and privilege while being satirical and earnest. Show up in your PJS and bring some ice cream because it’s about to get real. FEELINGS is a comedic exploration of race, gender, sexuality and politics. FEELINGS started in 2015, and highlights include The Los Angeles Diversity in Comedy Festival at Second City, Bumbershoot, and the All Jane Comedy Festival in Portland. Coming in September: The Dark Fantastic! Posted on July 17, 2018 | Comments Off on Coming in September: The Dark Fantastic! Tickets are now on sale for The Dark Fantastic! Something unknown lurks in the dark. The Dark Fantastic will be directed by Elizabeth Brammer. Comments Off on Coming in September: The Dark Fantastic!